James C. Carpenter is a board-certified clinical psychologist and parapsychologist and has been in private practice for more than 30 years. He is currently Clinical Associate Professor in the Department of Psychiatry at the University of North Carolina, and Research Associate at the Rhine Research Center, where he has also served on the board, including two terms as president. Dr. Carpenter has published numerous research articles, book chapters and professional articles in both parapsychology and clinical psychology and has edited the Bulletin of the American Academy of Clinical Psychology. He has lectured in various public venues on topics related to psychotherapy and parapsychology. He served two terms on the Board of Directors of the American Academy of Clinical Psychology and has also served on the Board of Directors of the Parapsychology Association. In addition, he is a clinical consultant for the Rhine Center, and provides pro bono services for persons who are troubled by ostensive paranormal experiences. Read more about the author and book here. 11: Psi and Memory: Are the Processes Similar? 12: Psi and Memory: How Do They Affect One Another? This lengthy book offers a detailed and extensive examination of a new model of how the unconscious mind works, which Carpenter (psychiatry, Univ. of North Carolina) labels 'First Sight.' Carpenter’s argument is that abilities like extrasensory perception (ESP), parapsychology, psychokinesis, and paranormal experiences are neither unusual nor rare—in fact, humans use them, without knowing it, all the time. The First Sight model asserts that, first, all people have unlimited parapsychological potential and, second, that parapsychological behaviors and experiences occur unconsciously and purposefully. Carpenter supports these two statements by explaining how unconscious parapsychological activities help us make sense of the world, then covers areas of experience like anticipation, summation, intentionality, and frustration, among others. 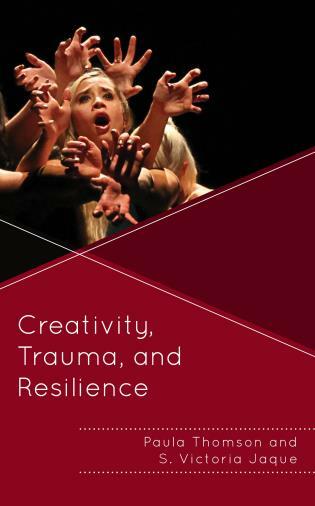 The book concludes with a presentation of research findings that support Carpenter’s theory, as well as suggestions for future directions of research. . . . Recommended for serious readers interested in a scientific theory for parapsychological phenomena that is supported by case studies. Carpenter’s First Sight theory integrates many previously scattered and little understood findings in psi research and is richly generative in suggesting new lines of research. Overall, the theory constitutes a transformational contribution to both psi research and the psychology of consciousness. 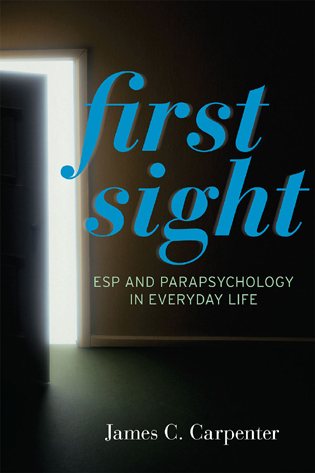 First Sight: ESP and Parapsychology in Daily Life makes an enormous contribution to parapsychology—and an even greater contribution to psychology. It belongs in every medical and psychology library. I would love to use this book as a text in a graduate psychology course. Research ideas and hypotheses jump from the pages. . . . Carpenter’s First Sight is an intellectual tour de force that deserves a place in the pantheon of groundbreaking scientific works. This book is an extremely stimulating alternative to current models of explanation for paranormal phenomena represent, and the book also offers a wide-ranging. . .overview of selected fields of experimental parapsychological research of the last half century. This alone makes it already a worthwhile purchase that should be in every bookcase a parapsychological interested reader. By reading this book, conventional clinicians who are occasionally faced with such a unique presenting problem in psychotherapy can now be better prepared for that challenge. Carpenter’s use of familiar psychological concepts not only helps the uninformed clinician understand how psi functions, but alerts them to the type of client who may be most inclined to present such anomalies. . . .In addition to providing information that can be helpful to unwitting professionals in the consulting room, [the] later chapters also provide some interesting examples of how psi works in certain gifted individuals. . . .Like this process of expanding our emotional consciousness, I believe psi can also be brought into consciousness. And I know from personal correspondence that Carpenter shares this belief. As a part of all of our overall evolution of consciousness, it is my contention that we can come to better understand the workings of psi, normalize its functioning, and become conscious of it in our everyday lives. First Sight theory helps put a definable handle on this particular aspect of our consciousness. First Sight by James Carpenter, a practising psychologist, is one among many recent publications with a high standard of scholarship that seeks to rethink mainstream psychological understandings of mind, consciousness, etc. As Carpenter rightly notes, parapsychology is often framed as dealing with the abnormal, and parapsychologists are apt to argue that it is the anomalous events that are ignored or even denied by mainstream psychologists, but that they must somehow be worked into our understanding of the self, mind, etc. Carpenter, however, argues that a paranormal or para-psychological (psi) phenomenon is not always a rare or an atypical event (although he acknowledges them as well), but it can be traced out in everyday and normal cognitive functions of ordinary people. Carpenter’s 'first sight' theory of psi is that we should also look for the paranormal in the normal as well as the extraordinary. There is an unconscious and unbounded origin to normal waking consciousness, one that can be studied and one that must be included if our picture of the human self is to be complete. He attempts to show us how psi is present within ordinary consciousness, and how this psi can help us better understand ordinary human decision making, creativity, cognition-formation, anxiety- management, memory, etc. He also applies his theory to some of the traditional paranormal 'practices' such as remote viewing, and tries to make sense of paranormal events like pre-cognition using first sight. First Sight surely has a place in the future of parapsychology. . . .[I]t is always impressive, and often intriguing, putting it in a league of its own, but hinting at the possibility that only the more serious and able-bodied academics will take it on. First Sight is handsomely presented; the editing and proof-reading is exceptional, leaving a lot to be desired in other textbooks of the same calibre. It is a top-quality book in more ways than one, and a must for any serious parapsychologist. Scientifically minded readers will quickly gravitate to First Sight. Carpenter's thorough and technical analysis on a paradoxical topic sheds refreshing enlightenment not only in the field of parapsychology, but also a clearer understanding of the psychic experience in our daily lives. Jim Carpenter has devoted many decades to study psi phenomena in the lab and the psychological clinic. In First Sight he presents his bold integration of psi phenomena and contemporary cognitive, personality, and clinical psychology, and seeks to demystify phenomena that are part and parcel of what being alive is all about. William James wrote more than a century ago that psi influences at times leak into reality and Jim Carpenter provides a model of how these influences may be at the base of all of our psychological life. It has been decades since we had a comprehensive attempt to integrate psi phenomena into psychology and I hope that this tome will be seriously considered by everyone seriously interested in the nature of all mental processes. In this engaging and beautifully crafted book Jim Carpenter shows in remarkable depth and detail how situating the paranormal in the context of other preconscious receptive and expressive processes allows us to understand a host of existing findings in a way that makes excellent psychological sense - a significant theoretical achievement that should command the attention of parapsychologists and mainstream psychologists alike.